Spring seems to finally have sprung. Yay! That means it’s time to get your home ready for Easter before the bunny comes hopping by. These awesome bunny crafts for Spring and Easter with perk up your home and drive away those last dredges of winter. I am so ready for warmer weather. It feels like winter has dragged on and sort of pulled me along with it. We still have a few more days left when it’s supposed to get into the 20’s. Bleck! On the plus side, this makes it easy to get excited for Easter. Bright colors, fresh flowers, and spring outfits? Sounds pretty awesome! If you’re still waiting out those last lingering tendrils of cold bundled up inside, why not have some fun with it and make these awesome bunny crafts. This bunny wreath is so cute and totally easy to make. Even better, you can grab the materials to make it at the dollar store! Have a ton of mismatched socks chilling in your laundry room? Give them a purpose again with this easy no-sew project. This burlap little guy is the perfect addition to your spring decor and he’ll match any color scheme you’re rocking this year. Get inspired by the greenery of nature and create this beautiful moss bunny wreath. Any door will look absolutely stunning this spring, graced with this beauty. I am seriously in love with this super cute sleepy bunny giant Easter egg. This could be adorable decor on its own or make a fantastic Easter basket! This awesome dollar store creation is perfect for your Easter mantle. Yet another project that proves you don’t have to break the bank for seasonal decor. This show-stopping bunny wreath is embodies Spring and definitely brightens up your front door this season. Of course, when you really want to punch up the colorful aspect of the season you need super fun decor like this pompom bunny. This beautiful wood sign can easily fit in with any decor because of the natural wood. You could even add a small pop of color to the bunny to pull in any tones in your existing Easter decor. You’ll definitely be ready for Easter with these awesome bunny crafts. 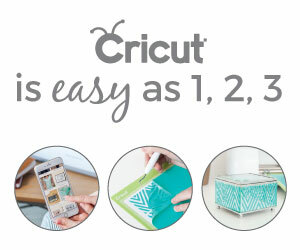 So many of them are totally budget-friendly too, making them the perfect crafty way to decorate your home. Now the only question is which one will you make first? Let me know in the comments! Now, on to the Merry Monday Link Party #246! Recipes – with tomato, garlic feature, grilled cheese, and egg salads. Easter and spring themed foods. 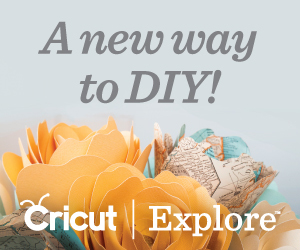 Crafts & Activities – Spring & Easter crafts, decor, games, and printables.